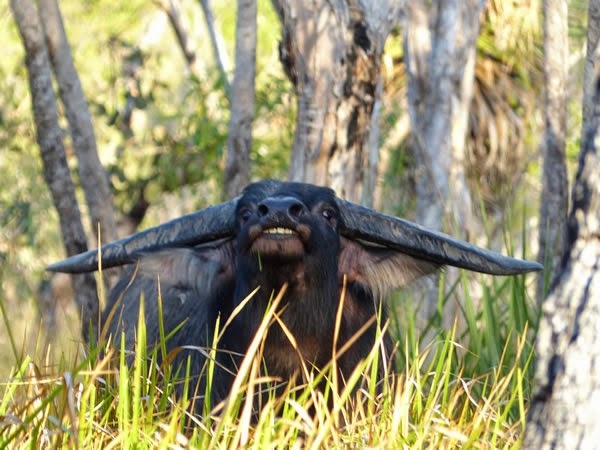 Hunting big game like water buffalo is an exciting experience. 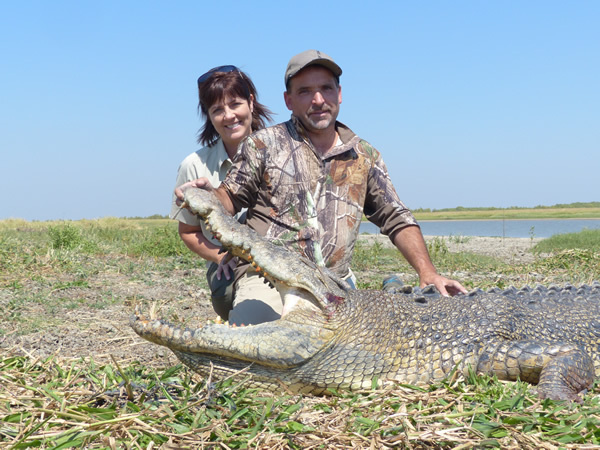 We try to enhance that experience by offering our clients the chance to hunt buffalo with our double rifles. The classic way. 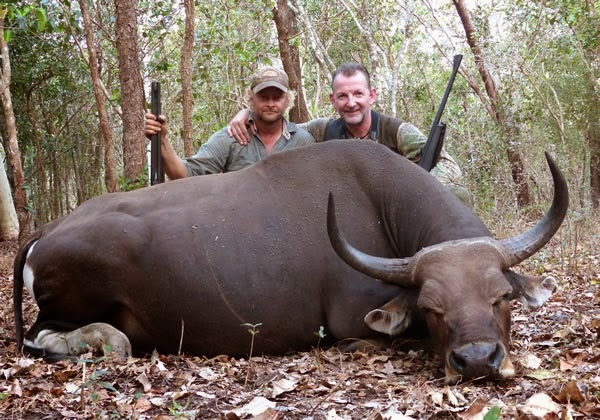 Hunting buffalo with a large caliber double rifle is a fantastic experience that is hard to beat. Anyone can stand back at 100 yards or more with a scoped bolt action rifle and make a killing shot. But to stalk right in close to 50 yards and less, 40, 30, 20 yards and take a bull with a double rifle…..this is real hunting. We have some of the highest populations of Wild Boar in Australia, and it is quite normal to see 100 or more animals in one day! 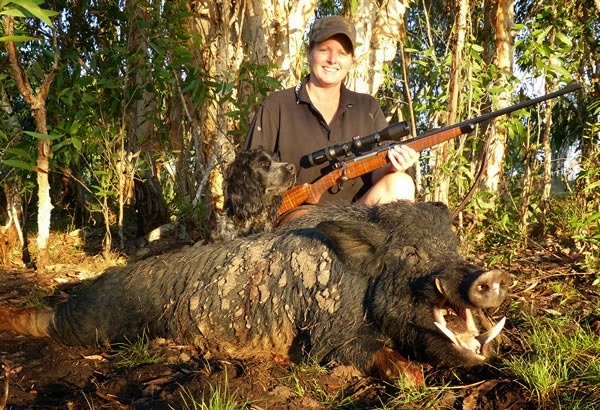 The estimated population of wild boar on Carmor Plains is 5000 animals! In all of my years of hunting wild boar I have never seen such numbers of animals all in one area! This completely deserted island is inhabited only by wild goats. There are no predators or other mammals on the island. 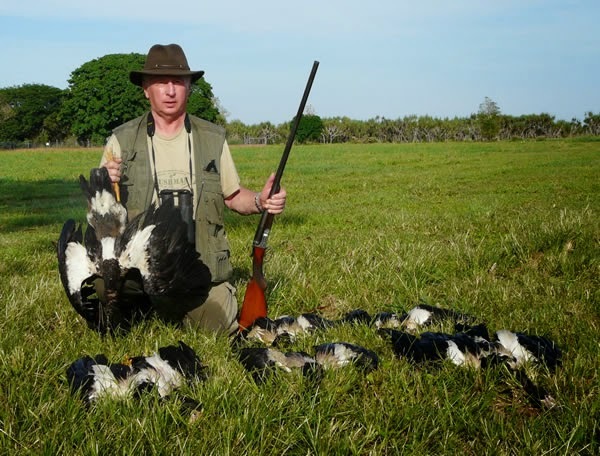 Thus the population and trophy size has grown unchecked over the years. 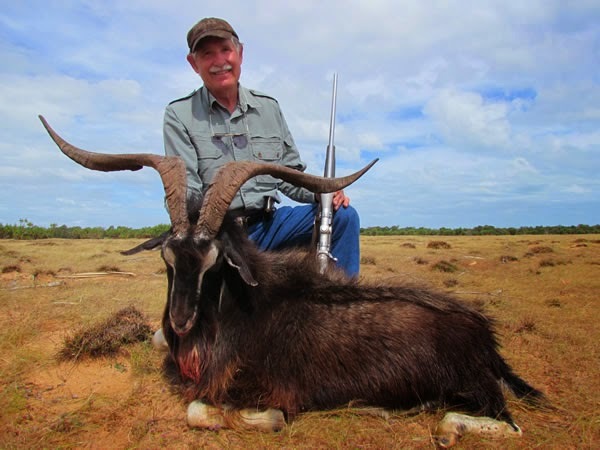 We take exceptional trophies from the island each year ranging from 33 – 40+ inches (80-100cm). The biggest to date having a spread of 44 inches (110cm). 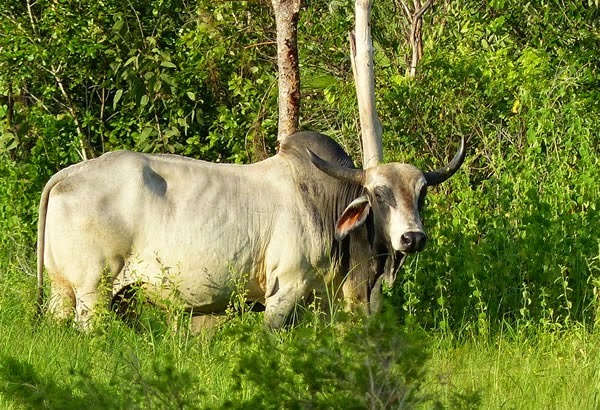 Australia Wide Safaris has a good population of banteng at Carmor Plains. Banteng are a bovine species, Bos Javanicus, however their similarity to cattle ends right there. Banteng are an elusive shy animal and startle easily. They run in a graceful manner more like a deer and are extremely agile for such a large animal. A large bull can weigh 600kg (1300lbs). Wild Cattle or Scrub Bulls as they are often called are an interesting game animal that can be hunted at Carmor Plains as well. They can be quite an aggressive animal and tough to stop. With a weight range from 500kg to 1200kg, these animals deserve every bit of respect that any large game animal would. Their breed and appearance varies greatly from one bull to the next! They can be black, grey or white in colour, with these animals originating from Brahman type cattle. And they can be brown or tan with more European or English bovine characteristics. But as a trophy animal, we are looking for a large mature bull over 4 years of age with good horns. The size of the horns are normally 35cm (14″) long or more and the diameter can be 20cm (8″) and better. Tip to tip they are usually 75cm (30″) or better.